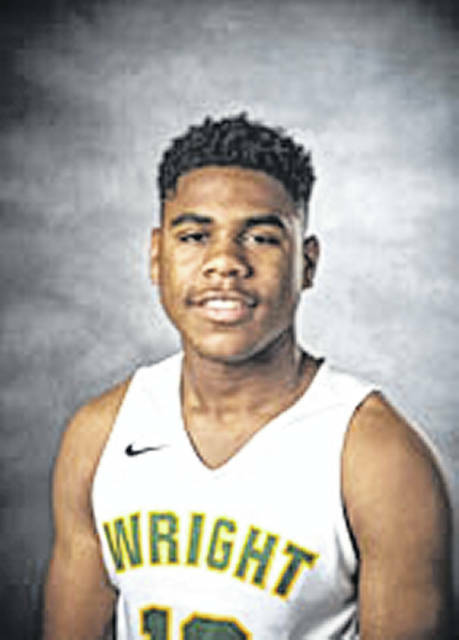 FAIRBORN — Wright State University men’s basketball freshman guard Malachi Smith could very well be the guy to lead the Raiders offense one day with his unrelenting work ethic. Last season for southern Illinois’ Belleville West high school, Smith helped propel a Maroons squad to its first-ever state title that he referred to as “legendary.” Having the target on their back as a championship contender taught him to focus on the finer details of basketball. When he was seeking a college to attend, the deciding factor in choosing WSU was Smith’s desire to have a coaching staff that could instill confidence in him. His comfort level with the coaching staff and his teammates has been beneficial in transitioning to a collegiate offense, Smith added. Before arriving on campus, he was already exchanging texts with fellow guards Mark Hughes and Jaylon Hall. One skill that has been raved about Smith is his high basketball IQ. He needed to be proficient in multiple phases of the game during his senior year of high school. With his ability to fill several roles, it’s no surprise that Smith has a calm demeanor in pressure situations. The game of basketball has been generational in Smith’s family. His grandfather, Larry Knight, was a standout forward at Loyola-Chicago and drafted by the Utah Jazz in 1979. After being lightly recruited, Smith has an additional chip on his shoulder. “I didn’t have all the stars or everyone looking at me, so it took a lot of hard work,” he said. When he is dribbling down the court, one thing that motivates Smith is his mother, who was a single parent when he was growing up. With the regular season that begins at the Nutter Center on Nov. 7 against Western Carolina looming, Smith is looking forward to getting his Raider career under way. For more information about Wright State University athletics visit www.wsuraiders.com.